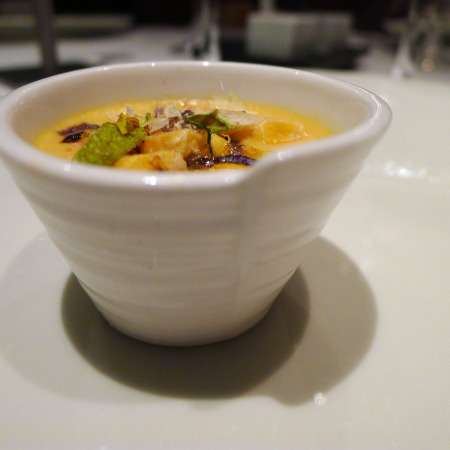 A few weeks ago, I had the privilege of returning for another meal at Arzak. The first time I went, about a year and a half ago, it knocked my socks off. 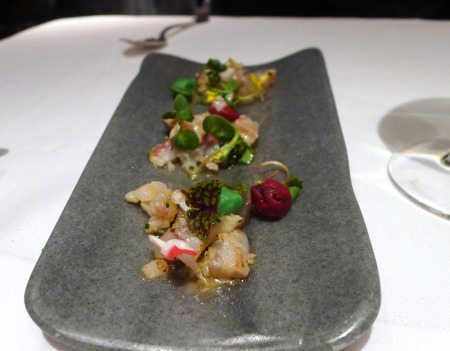 But then on to Arzak's real strength, which are the dishes of fish and meat. One of the BEST dishes, lobster. You can see that it's a crowded plate, and playful. I feel like this is very Arzak. He and Elena utilize ingredients from across the world...it's a global meal. From yucca to wasabi to fruits that I've never heard of in English or Spanish. They're all about exploring, and giving you an authentic eye-opening food experience. This plate was AWESOME, just barely cooked fish...too bad it belonged to Jared. 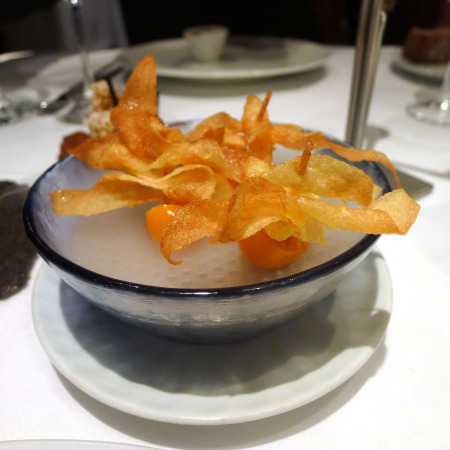 An Arzak take on the oozing egg yolk found in every self-respecting restaurant around town. Along with foie it has to be one of the most stylish things you can serve around these parts. 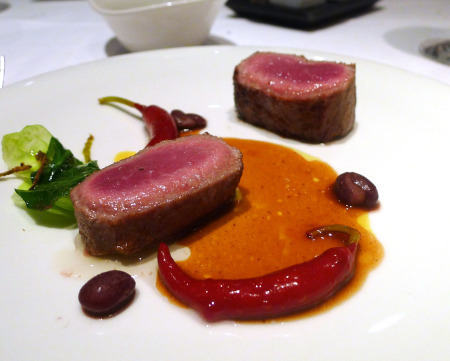 Then another one of my favorite dishes, a play on typical foods from here: lamb, peppers, and beans. Made to look like their spicier counterparts, these were really guindillas in some sort of coating. 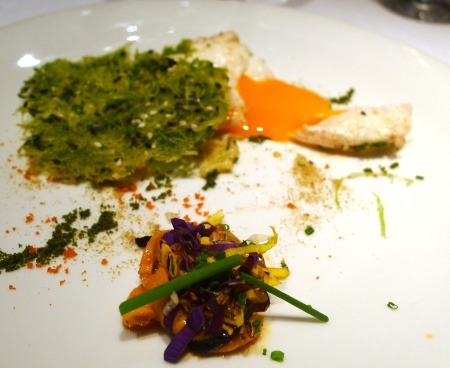 As you can see, Arzak likes an interesting plate with several components. He likes to have fun. He likes to use surprising ingredients in unexpected ways. It's an over-the-top effect, which is entertaining and usually delicious.